I had to take my daughter’s phone from her last week. I don’t like that I had to do that, but I had a responsibility to take her phone. We have a rule in our house. Having a smartphone is a privilege and certain actions can result in a phone being taken away. One of those actions is a grade of a C or lower. My daughter’s Pre-AP Algebra 2 grade dropped to a 77%. From the day we bought her first phone, my daughter has always known that any grade less than a B will result in loss of phone privileges. My daughter can see her grades daily online, as can her father and I. The expectations are set and clear. She has every possible opportunity to keep her phone, simply by maintaining excellent grades. So, I don’t have to feel guilty about taking her phone away. There’s no benefit to her for me to go soft and let her slide. For what would I be teaching her if I let her slide? I’d be teaching her that she can slack and get away with it. She’d learn that my word is not solid. The focus and determination in academics my husband and I are trying to instill in her would be harder for us to teach. So, the consequences stick and it is indeed for her best. As a supervisor or manager, can you easily set expectations and deliver consequences? If you are a parent, you likely can easily set expectations for your child, issue consequences and not feel guilty about it. You know what you’re doing is best for your child. But, can you behave the same way at work? Can you follow through on consequences, knowing employees were clear on your expectations? 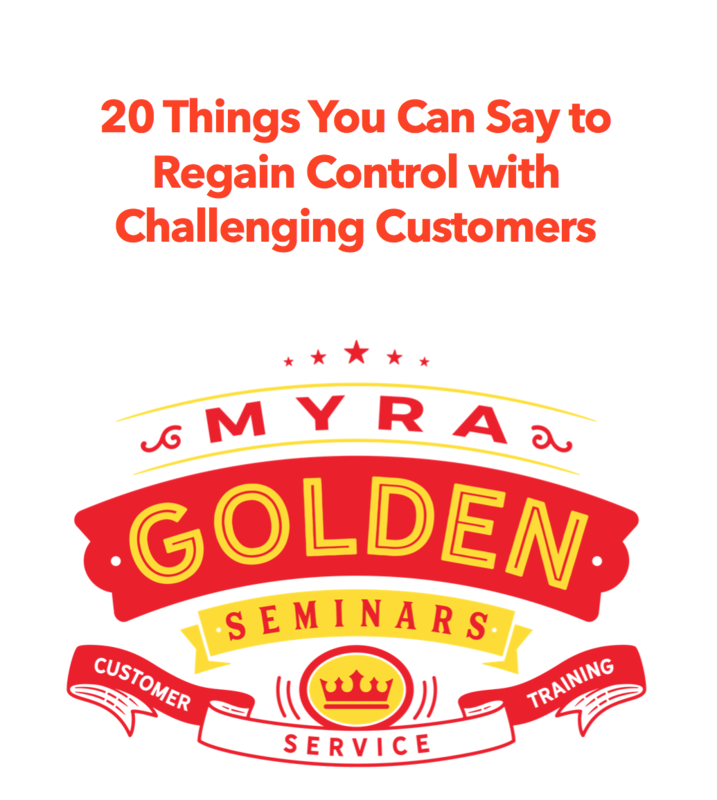 Can you discipline your employees without feeling guilty? My daughter knows I’m not mad at her. Because I have always been clear on expectations and because I always follow through with consequences when expectations are not met, my daughter knows the discipline is not personal. She knows she made the choices that led her to the consequence of loss of phone privileges. Here’s my point: When you set crystal clear expectations for your employees and you ensure that they fully understand those expectations, it’s easier for your employees to accept any consequences their choices may bring. I fly a lot and on every single flight I observe a flight attendant going to the passengers seated in the exit rows and saying something similar to this. Getting agreement on performance expectations is literally this simple. State your expectations and get a verbal confirmation from your employee that they understand and agree with the expectations. If they don’t agree or understand something, it is up to them to ask questions and to seek clarification. The thing that makes removing my daughter’s phone privileges easy, and it happens regularly, is that she knew upfront what the consequences would be. Make sure your employees know the consequences up front. The key to employee discipline is follow-through. If you are inconsistent, you send a message to employees that they can push the limits – and some will do just that. When you establish clear expectations, get employee agreement on expectations, and you ensure consequences are revealed up front, you can address unacceptable performance assertively and without feeling guilt. Now you can get even more tips and strategies for addressing unacceptable employee performance. Get my on-demand webinar, Managing to Eliminate Unacceptable Employee Performance and you’ll get coaching dialogues, templates for discussing problem performance and tips for how to nip unacceptable behaviors in the bud once and for all. Next Next post: Want to Write Amazing Complaint Response Emails? Here are 4 Keys to Doing Just That.